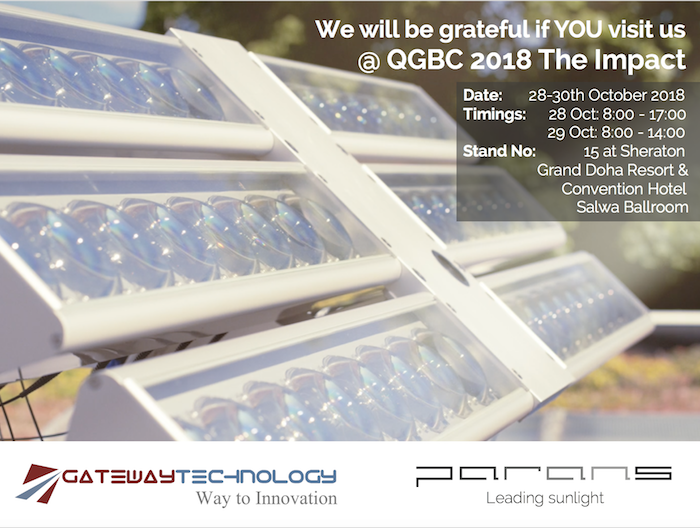 On October 28-30th 2018 we will exhibit at Qatar Green Building Conference in Doha, Qatar, together with our partner Gateway Technology. The Conference will address and highlight research and industry best practice to help the construction and sustainable development sector deliver green building solutions to environmental challenges in and outside Qatar. Parallel with the conference an exhibition for sustainable products and innovative technology is running. In our stand No. 15, we will display a Parans system (collector-cables-luminaires). For our partner this will be the first big event to launch Parans’ solution at in the country. 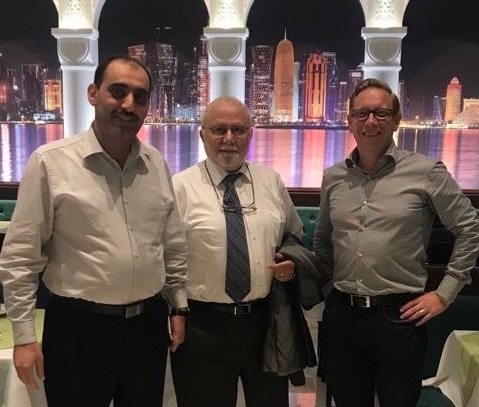 It times well with the notifications they received recently from Qatar Kharamaa Water Electricity (”QKWE”) which will certify the Parans system as an approved solution to lead sunlight into buildings. -We are looking forward to exhibiting together with our partner and meeting potential customers in this relatively new market for Parans, says Fredrik Johansson, Senior VP Sales & Marketing at Parans. That we now also have an approved system installed at Kahramaa Awareness Parks’ main building, could not have come more convenient. Due to that QKWE is influential regarding new technology, and the building is also a visitor center for this purpose, this is a very good reference installation for the leads that we will get during the exhibition. Of great importance is also QKWE’s own interest to market the system. For example, they themselves will invite decision makers to the exhibition. It will be possible to talk to representatives for QKWE, which will exhibit next to Parans’ and Gateway Technology’s stand.